October 30, 2011 SS Edgar Renteria elected free agency. January 10, 2011 Cincinnati Reds signed free agent SS Edgar Renteria. 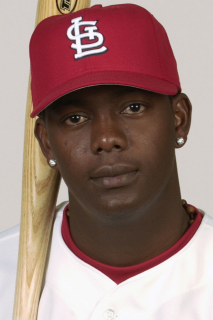 November 7, 2010 SS Edgar Renteria elected free agency. September 1, 2010 San Francisco Giants activated SS Edgar Renteria from the 15-day disabled list. June 16, 2010 San Francisco Giants activated SS Edgar Renteria from the 15-day disabled list. June 14, 2010 sent SS Edgar Renteria on a rehab assignment to Fresno Grizzlies. May 22, 2010 San Francisco Giants activated SS Edgar Renteria from the 15-day disabled list. May 7, 2010 San Francisco Giants placed SS Edgar Renteria on the 15-day disabled list. Right groin strain.